With all the information out there telling us how bad the sun is, it is a wonder anyone goes outside these days. But staying indoors does not have to be the answer. Taking precautions and protecting your skin from dangerous ultraviolet rays may take extra planning, but it will also let you enjoy your summer without worry. UVA rays are around us every day, all day long no matter the season. UVA filter down deep into the skin, causing long-term skin damage. UVA is 20 times more abundant than UVB and can even pass through glass. UVB rays are absorbed into the body providing us with vitamin D. The downside is UVB also causes the body to tan and burn, potentially leading to skin cancer. UVB cannot pass through glass. UVB rays are the most dangerous in the summer and during the hours of 10 a.m. and 4 p.m. The main points to remember about sunscreen are: it is never 100 percent effective, and it needs to be thoroughly applied at regular intervals. Wear a sun protection factor (SPF) of 30 or higher, giving maximum skin protection between 93 to 98 percent. Apply it at least 20 minutes before going into the sun. Only use sunscreen with broad-spectrum coverage, which means it will protect against both UVA and UVB rays. Use a minimum of one ounce per person and reapply every two hours. Apply more often when swimming or sweating heavily. Water and sweat-resistant sunscreen may not protect as long as you think. Carefully read the label and reapply as necessary. If you are going to be outside for an extended amount of time, make sure shade is available. For a day at the beach, bring along an umbrella to limit all-day sun exposure. Even a tree or outdoor shelter can offer some relief from the harmful rays. Shade also helps to cool the body down and prevent overheating from too much sun. The summer should be a fun time for everyone. 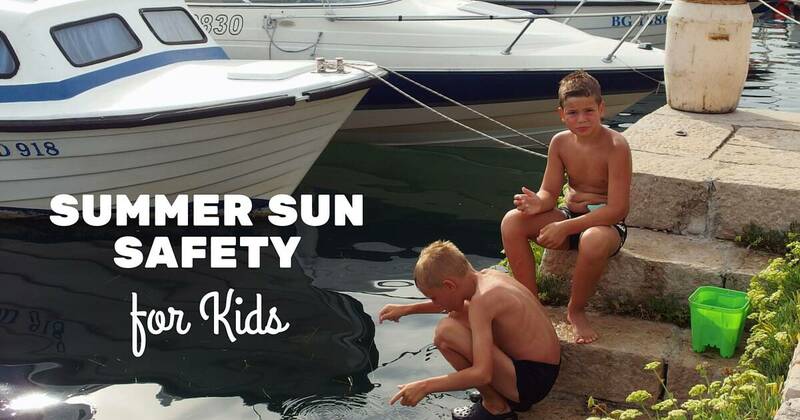 Make it a safe summer as well by being aware of the dangers caused by overexposure to the sun. Protect your family with sunscreen and proper clothing so that everyone can enjoy their outdoor activities without worry.